Brooks Parsons, superintendent of New Richmond schools from 1953-1962, died Tuesday April 29 at the age of 90. Parsons, who began his career at New Richmond as a teacher and varsity boys basketball coach, was partly responsible for the creation of the New Richmond Exempted Village School District in an effort that also involved President Dwight D. Eisenhower and Judge John W. Hausermann, the gold king of the Philippines. Parsons and the school board got word in the mid 1950s that the other school districts in Clermont County had met twice to form a county wide school district and get the tax revenue from the Beckjord Power Plant from New Richmond. “We learned they had scheduled a third meeting to vote on county consolidation so I chartered a plane to fly to Columbus and submit our application to become an exempted village school district,” recalled Parsons last fall. Hausermann, a Spanish American War veteran who remained in the Philippines after the war and controlled the largest gold mine in the islands, met Eisenhower when the former general and president served in the Philippines under Gen. Douglas McArthur. Hausermann returned to New Richmond in the 1930s. New Richmond got its special census but in the end it did not matter as Pierce Township, and later Monroe Township, consolidated with New Richmond and our size was no longer an issue. Parsons, who was also superintendent of Norwood schools, won two county championships as New Richmond’s basketball coach in 1950-51 and 1951-52. Parsons was the husban of Betty C. Parsons and was a WWII Coast Guard Veteran. He was the father of John (Elvira), Randall (Rebecca) and Dean (Shawn) Parsons. Grandfather of Matthew, Errol, Daniel, Devon and Kelby. 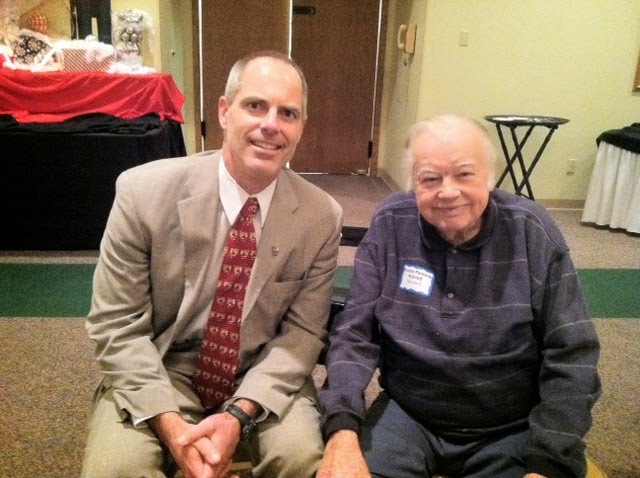 Visitation for Mr. Parsons will be held Friday, May 2nd, 6-7pm with funeral following at 7pm at Strawser Funeral Home, 9503 Kenwood Rd., Blue Ash, OH 45242. The family will observe private burial services at Rest Haven Cemetery. Memorials may be made to Loveland United Methodist Church. Condolences to the family at www.strawserfuneralhome.com.